The PSN Security Breach Timeline ! For more than two weeks, the PlayStation Network has been offline. PlayStation 3 and PSP owners have been unable to connect to the Internet, play games online or download new titles. Sony's working on a fix, user data has been compromised, and everyone has something to say on the matter. However, it's important to understand how we got here. Below is the timeline of the PSN outage. This chronicles what led to this problem and what has happened since it occurred. Sony, a series of denial of service attacks on Sony websites that it says are in defence of free speech. 11 April: Sony announces the case has been settled out of court and that George Hotz has agreed to take down his website. witnessed, Anonymous style,” it says in a video message. 16 April: Hackers break in to Sony Online Entertainment, the firms PC gaming service and steal 25 million users’ personal details. Around 23,400 European users’ credit card or direct debit details may also have been taken. 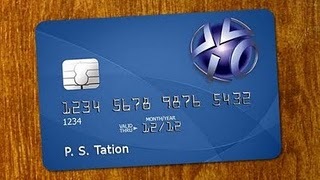 17 April: Hackers break in to the PlayStation Network and steal 77 million users’ personal details. 19 April: Sony detects the PlayStation Network breach. 20 April: Sony shuts down the PlayStation Network, publicly citing technical problems. 26 April: Sony publicly discloses the PlayStation Network breach and says it has called in the FBI. 1 May: Investigators discover the breach of Sony Online Entertainment and Sony shuts it down. Separately, Japanese Sony executives bow in apology for the PlayStation Network breach. 2 May: Sony publicly discloses the Sony Online Entertainment breach. implicating Anonymous. Investigators found a file named “Anonymous” with the motto “We are Legion. He also says the collectives denial of service attacks made it easier for the hackers to breach security. “Security teams were working very hard to defend against denial of service attacks, and that may have made it more difficult to detect this intrusion quickly – all perhaps by design,” Mr Hirai says. 4 May: A press release purporting to come from Anonymous denies credit card theft but does not directly deny hacking Sony’s systems or stealing personal data. not steal credit cards,” it says. 5 May : Hackers announce to give 3rd big hit to sony soon !